Overpriced peeled oranges and sliced cauliflower in plastic boxes… pre-packaged food has a bad rap. It’s not good for the environment and supermarkets are increasingly under pressure from consumers to ditch it. 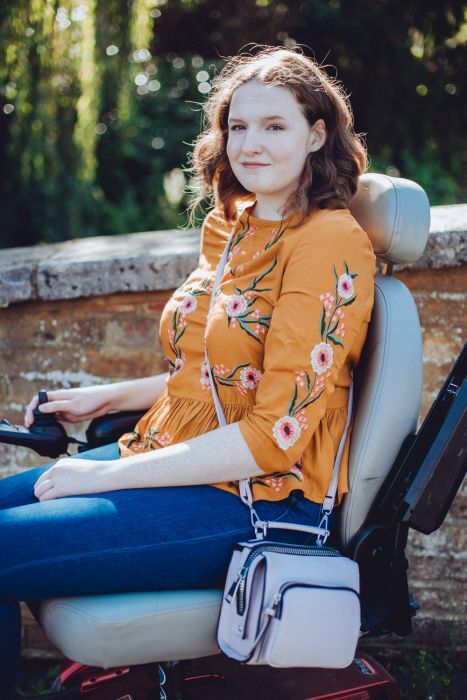 However, disabled rights activist, Shona Cobb, who has Marfan syndrome, changed the dialogue when she pointed out that many disabled people rely on pre-packaged food. It’s unlikely that supermarkets were targeting disabled people when they pre-packaged food, but it did find a niche market with the disabled community, people who are pressed for time, and anyone who loves courgettini. Unfortunately, the disadvantage – other than the price – is that the plastic can’t be recycled. Image: @rachclarke27 Twitter. 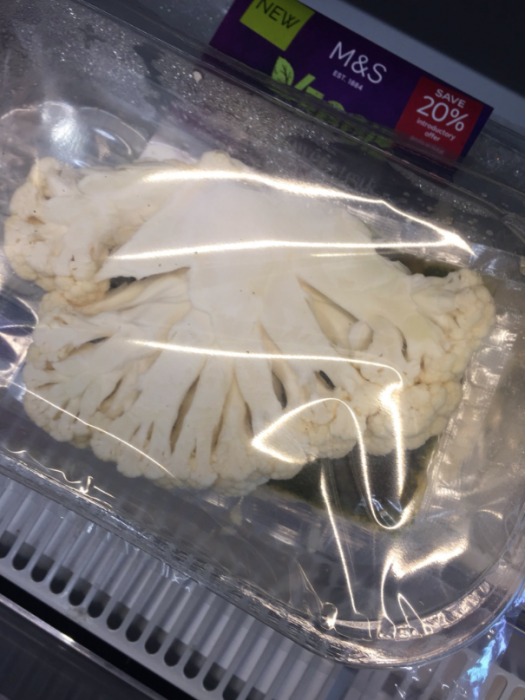 Marks and Spencers’ infamous “Cauliflower steak” that received a major backlash. Plastic in our oceans, landfills running out of space and unrecyclable takeaway cups… we’re all more conscious of our carbon footprint these days. Shona argues that the issue around pre-packaged food has been conflated: criticism that it’s “lazy” is ableist, and the real problem is that supermarkets need to use sustainable materials for these, and indeed, all their products. “What we need to encourage is more recyclable materials,” urges Shona. “We all have a problem with the plastic waste. 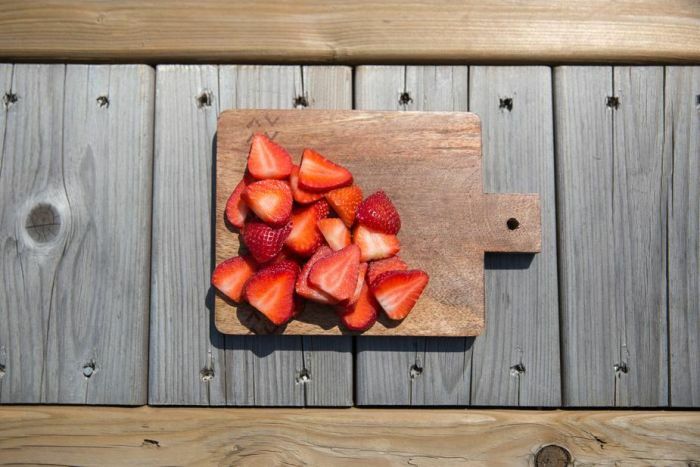 Some people said that disabled people’s rights are not above the environment, but doesn’t need to be accessible food versus plastic – we can have both.” One way to move forward would be to get rid of single-use plastic and use recyclable packaging – and think of more accessible products for disabled cooks that are both reasonably priced and ethically packaged. Be the first to comment on "Why pre-packaged food is important for the disabled community"